It was named by the Spaniards in the late 1700's as El Pueblo de la Reina de Los Angeles (The Town of Our Lady the Queen of the Angels). 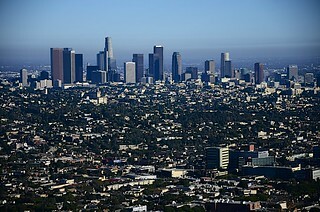 As a life-long New Yorker, I liked LA a lot, maybe because it's so different from New York City. I'd say it's like Miami but with hills and mountains. And the weather and climate there is pretty awesome too, in spite of the smog. 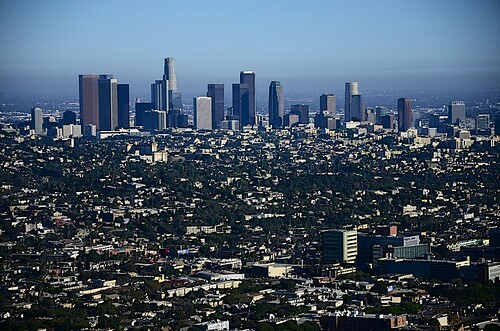 This view is as seen from the Griffith Observatory. Nikon D7000, Nikkor 18-105mm lens. Thank you for all your comments, awards, invites, and faves! !